The COT levels are actually quite bullish for gold. This entry was posted in Uncategorized on January 31, 2016 by Gary. This entry was posted in Uncategorized on January 30, 2016 by Gary. ATTACK ON GOLD: GOOD OR BAD? Almost 800 million dollars worth of paper gold was dumped on the market this morning. The question we have to ask is whether the cartel is trying to cap the gold rally, or are they just trying to create temporary lower prices to scoop up some more shares before the next leg up? This entry was posted in Uncategorized on January 29, 2016 by Gary. 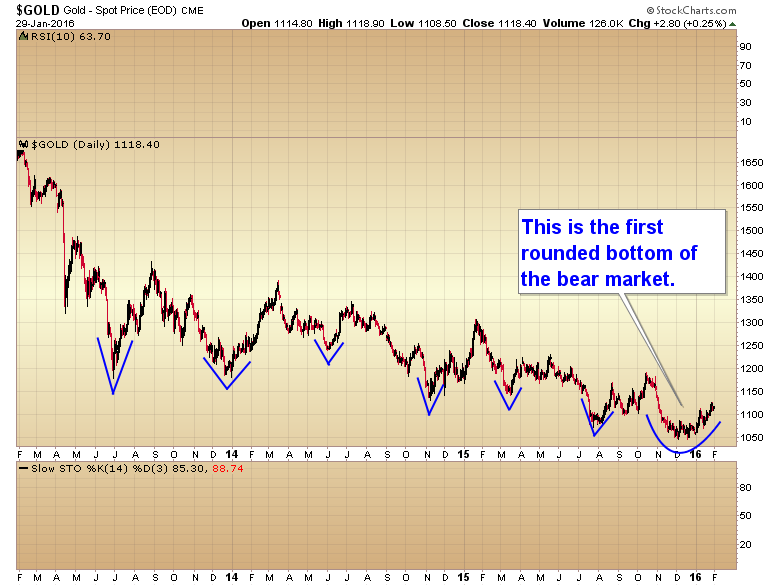 The 4 year bear market in gold has programmed traders to expect failure. That is 180 degrees the wrong attitude to have this late in a bear market. At this point instead of expecting failure you have to give every rally the benefit of the doubt. The longer this bear continues the greater the odds become that one of these intermediate bottoms will turn out to be THE BOTTOM. This entry was posted in Uncategorized on January 28, 2016 by Gary. 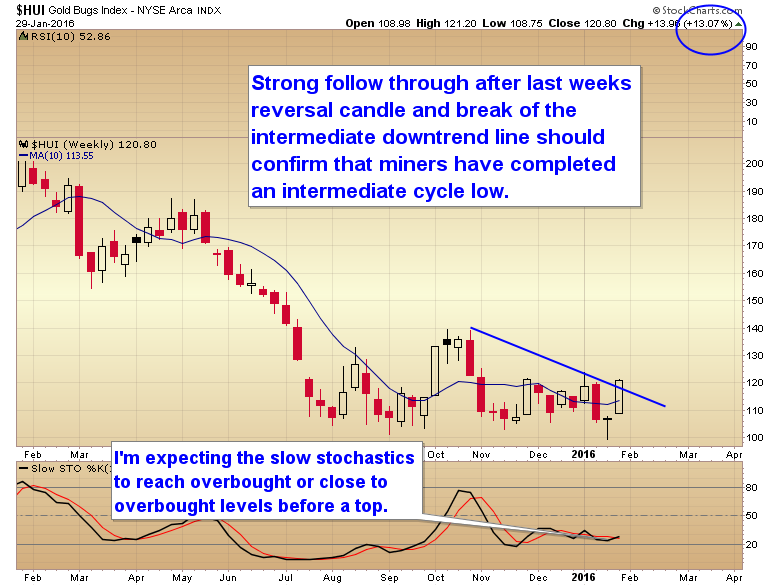 The metals have begun the second leg up in this intermediate degree rally. 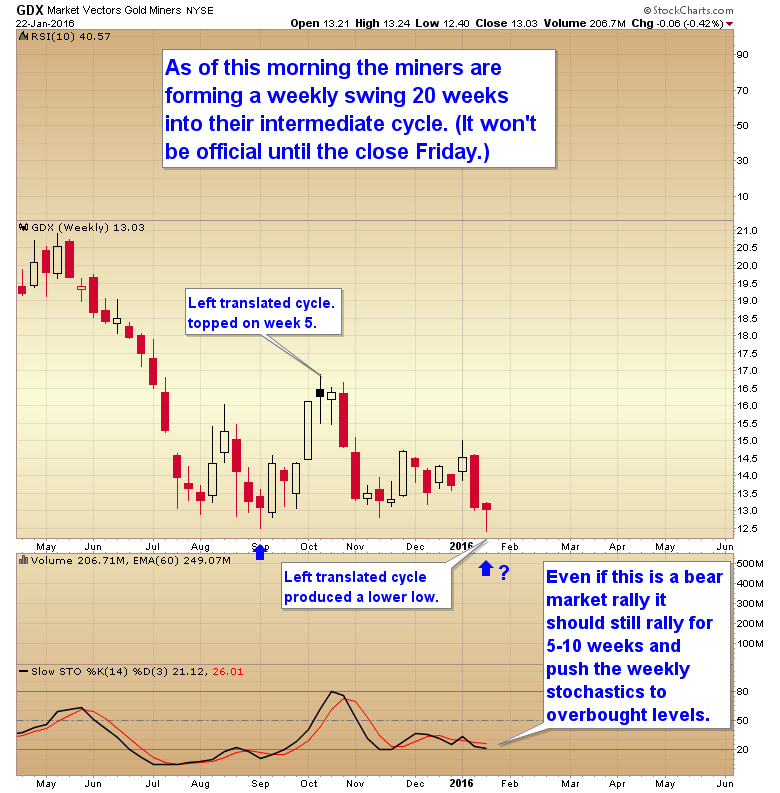 Miners are on week one of a new intermediate cycle and should still have 5-7 weeks before topping. This entry was posted in Uncategorized on January 26, 2016 by Gary. This entry was posted in Uncategorized on January 25, 2016 by Gary. 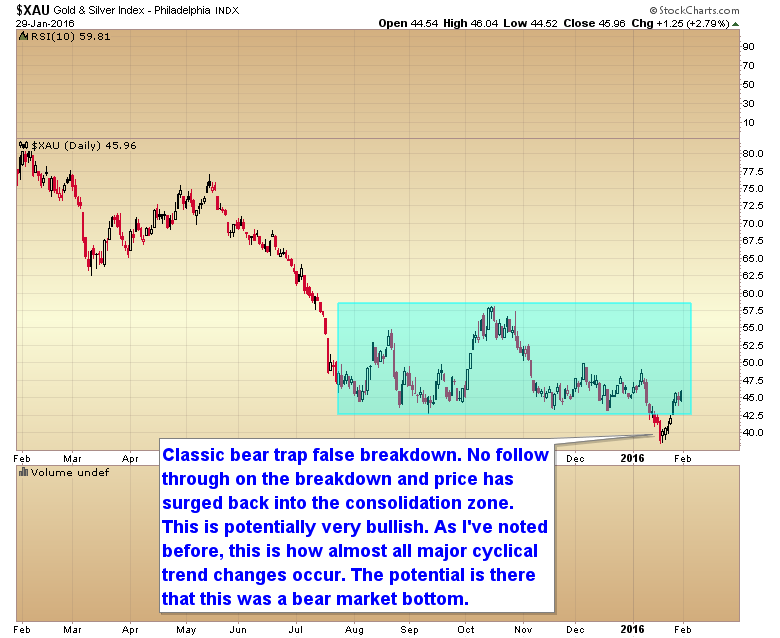 I’m seeing some signs that gold mining stocks may have just printed an undercut bottom. This entry was posted in Uncategorized on January 24, 2016 by Gary. Caution is warranted. I don’t think stocks, oil, or the Shanghai composite are finished dropping into their intermediate cycle lows. This entry was posted in Uncategorized on January 22, 2016 by Gary. This entry was posted in Uncategorized on January 21, 2016 by Gary. 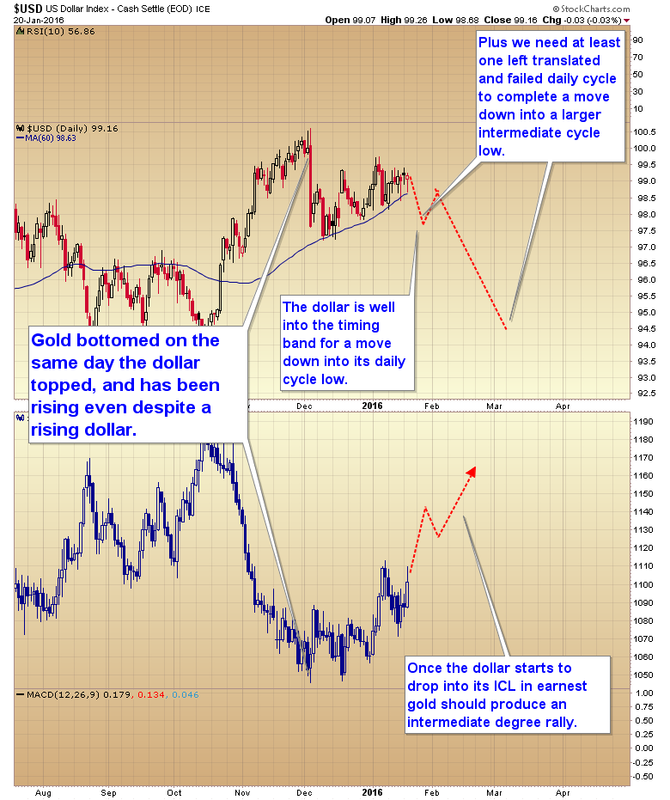 A quick summary for the dollar, stocks, and metals. This entry was posted in Uncategorized on January 20, 2016 by Gary.